Fans of Lori Rader-Day need know nothing more than that she wrote the book to rush out to buy it, but that does not mean this isn’t still worth saying: Under a Dark Sky is her best novel yet; and it should be the book that makes the hold-outs understand what we admirers saw way back with The Black Hour. 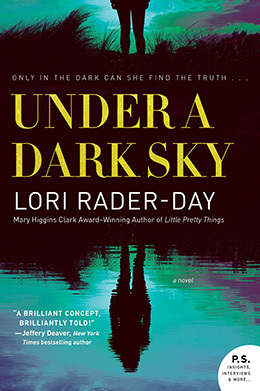 Unlike that debut novel and both Little Pretty Things and The Day I Died, which followed, Under a Dark Sky features a larger cast of characters, but the same unique sense of place and her complex manipulation of long-standing crime fiction tropes remain in play. Under a Dark Sky is the story of Eden Wallace, a thirty-something-year-old widow who discovers that her late husband had planned a once-in-a-lifetime trip for them before his untimely death. Deep in grief, struggling to connect with the world around her, Eden decides to go on the trip anyway and quickly finds herself at the Straits Point International Dark Sky Park in Michigan. For those unfamiliar, a dark sky park is a place where the pollution of light is kept to an absolute minimum so that stargazers can enjoy the delights of the night sky unencumbered. One would think that since Eden has been suffering from night terrors since the death of her husband, going to such a place would not be her wisest decision. Turns out that might be true, but not for the reasons expected. Upon checking into the campsite, Eden discovers that when her husband booked the cabin, he didn’t specify a single-family rental unit – but rather the multi-family option – so there are already some other houseguests unpacking inside the cabin. To make matters worse, they are recently-graduated college students and in addition to the couple already occupying the cabin, two more pairings of their classmates are expected to arrive shortly. Because her fear of the dark prevents her from traveling at night, Eden decides to ride it out for one evening – after all, at least her husband did book the master suite. With that, Lori Rader-Day has filled the dark sky park cabin with a diverse group of seven distinct individuals. Readers will delight in slowly learning the connections between the college friends, while ever so gently suspicions begin to arise. Like why do they keep talking about the one friend who is not there? And why does it seem that Hillary is as much of a stranger as Eden herself? As these two outcasts form a tenuous bond, the sense of foreboding continues to escalate for the reader. It is only when Eden wakes to screams in the cabin that readers will realize that Lori Rader-Day has set up a near-perfect locked room murder mystery – in complete darkness! 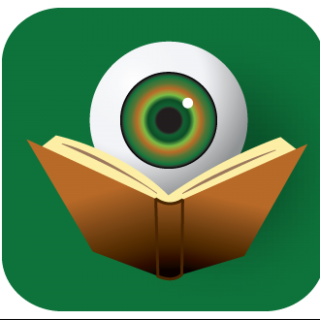 Readers are presented with one dead body and a worthy pool of suspects – each of them with their own secrets. The young characters still exist in that mentality where everything seems both insignificant and monumental at the same exact time. And Eden steadfastly resides in the mindset where loss, sorrow, and hurt converge. The clash of these outlooks adds another layer of conflict to an already volatile situation. Eden’s background as a photography student sets her up as a very good witness with an eye for details, but can she really be trusted? As Eden learns to make her way into the darkness – both literally and figuratively – she begins to shine a light on multiple truths – both within this unique group and within herself. Throughout the novel, readers feel the dark – and the fear of it – as a symbol for something larger within Eden’s psyche, but it isn’t until close to the end that readers will take a deep breath and realize that Lori Rader-Day has pulled this off. Healing from trauma through trauma would be a tightrope fraught with pitfalls for most authors, but this is a skilled practitioner who guides with assurance. Pilgrims*, flock to Under a Dark Sky by Lori Rader-Day immediately; she has outdone herself as she widens her writing canvas. Join me in awaiting whatever splendor arrives from her next. *this reference will make more sense once you read the book. Kristopher, this review is a thing of beauty. Thank you so much for spending your time on my book. My pleasure. You keep writing them, I’ll keep reading. Great review! You’ve prompted me to hunt this one down. I will be released next Tuesday. I hope that you enjoy it!